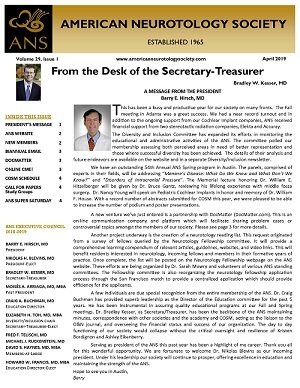 The American Neurotology Society excels at executing its mission of sharing ideas, disseminating new information, and educating our membership. Equally important to our society is the development of new knowledge. To actively promote research, the American Neurotology Society launched a fundraising effort in honor of the 50th anniversary, to establish an unrestricted research endowment. Out expectation is that over time, the endowment will continue to grow and play a pivotal role in directing and supporting research in our field. We have set a goal of raising $250,000. As of April 1, 2016, we have received $102,000 in pledges and $62,000 in actual funds. We ask you to consider supporting the effort at one of the following levels distributed over one to five years. Payments will be made on an annual basis at the donor's discretion. These are suggested pledge levels, other amounts are welcome. Complete our pledge form to notify ANS of your intent to contribute to the research endowment. Ready to donate? Click here to submit your donation online now.